Our Women’s Self Defense workshop covers Physical Self Defense Techniques, as well as Escape Mentality, Principles of Safety, and Avoidance of Threatening Scenarios. These physical self defense techniques are designed to be easy to learn and perform under high levels of stress. The techniques taught are chosen specifically to exploit inherent weaknesses in men or stronger, larger opponents. 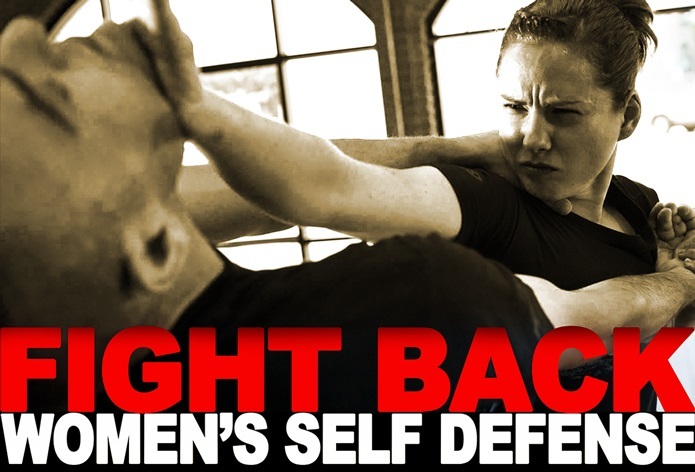 Additional self defense principles provided include elements of identifying situations that can be resolved through reasoning, when to fight, when to run, and what to do when none of the aforementioned actions is an option. This self defense workshop is specifically designed for incidents of threats towards women. Learn combative techniques that are extremely effective against stronger, larger opponents. Targets and strikes used have been developed for women to exploit men’s weaknesses without relying on strength. Designed to be easy to learn and immediately applicable in real world scenarios. Escape chokes, arm grabs, hair grabs and bear-hugs; protect against strikes, and defend/escape from being pinned to the ground. Includes blocking, striking specific targets, finger-joint locks, as well as using and identifying improvised weapons. Suitable for beginners (no experience necessary) as well as intermediate levels. Alex Schenker is a black belt level licensed instructor of Budo Taijutsu; the combative arts of the traditional Japanese warrior. He is licensed through the international martial arts organization known as the Bujinkan. He has been practicing for over a decade, teaches regular classes and offers workshops in women’s self defense and general self defense. These workshops include techniques that are effective without relying on skills and postures that take years to perfect. Alex is also certified as a MovNat Natural Movement Trainer, mobility and self-healing instructor, and professional Shiatsu therapist. He is dedicated to the study and mastery of human movement, and applies his knowledge of anatomy, physiology and natural movement principles to his self defense. Click the register button below for information on upcoming workshop dates, locations, and pricing.